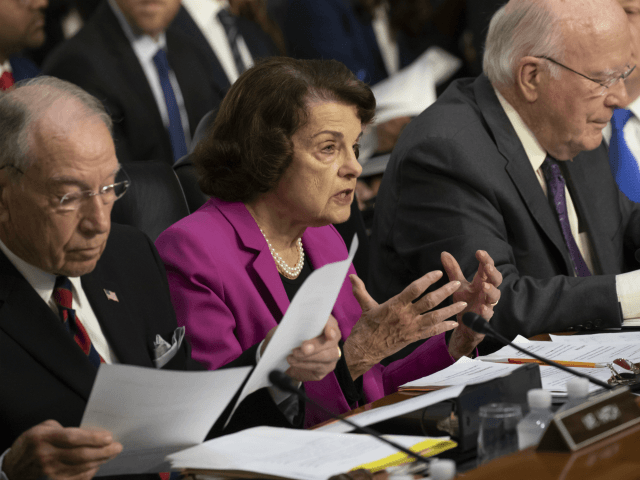 During day one of Brett Kavanaugh’s confirmation hearings, Sen. Dianne Feinstein (D-CA) accused him of being beyond “pro-gun” and suggested more people will die in mass shootings if he is confirmed. Sen. Feinstein recalls era before Roe v. Wade at Kavanaugh hearing: "I saw what happened to young women who became pregnant." Feinstein added, “It’s pretty clear that your views go way beyond simply being ‘pro-gun. '” Huff Post then noted that Feinstein suggested a confirmation of Kavanaugh will mark an end to “assault weapons” bans, as she claimed he would hold AR-15 and similar rifles as constitutionally protected. She also intimated there would be more school shootings if Kavanaugh were confirmed, chiefly because of the continued legality of “assault weapons.” Feinstein claimed there have been 273 school shootings since the heinous December 14, 2012, shooting at Sandy Hook Elementary, and that such shootings would actually grow with Kavanaugh on the Supreme Court of the United States. Ironically, a study by University of Alabama associate professor Adam Lankford found 90 mass shootings–including mass shootings at schools–during the years 1966-2012. Feinstein, on the other hand, is claiming 273 shootings in schools alone during a five and half year time frame. Moreover, Feinstein is pointing to AR-15s and other commonly owned semiautomatic rifles as causal in the continuation of attacks on gun-free schools. But on May 30, 2018, Breitbart News showed that mass attackers use handguns over “assault weapons” by a 3 to 1 margin.